The three suspects to be charged in Philadelphia's mob gay-bashing are expected to surrender themselves on Wednesday (today). The female of the trio is the daughter of a local police chief. 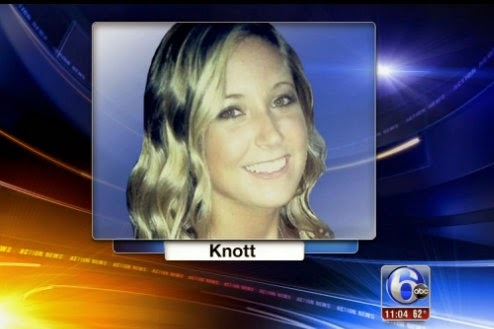 Action News has confirmed suspect Kathryn Knott is the daughter of Chalfont, Bucks County Police Chief Karl Knott. At their Southampton home, no one answered but when we asked several neighbors about the charges against Knott, off camera, they would only say they're not surprised. The incident unfolded at 10:45 p.m. on Thursday, September 11th. Investigators say the victims, a 28-year-old man and a 27-year-old man, were in the 1600 block of Chancellor Street when police say they were approached by a group of 'unknown males and females.' "Three people's lives are about to change drastically and the victims are asking that everybody just keep their language respectful and not hateful," the victims' friend Caryn Kunkle. Kunkle says before the charges the victims spent more time Tuesday with Central Detectives and prosecutors. "It's very emotionally taxing on them. They're still reliving it all. It's tough," Kunkle said. Because of the large group of potential suspects who were out on the town, police say the investigation took time. Chalfont is described an an "affluent and upscale" suburb of Philadelphia.